01.07.2016: Whiteflowers Campaign. Presentation with Phil Frampton. Social work the only way is ethics. BASW England AGM. 03.2016: The Jigsaw role play – working together to protect children. Social work course, Anglia Ruskin University, Chelmsford, Essex. 10.2015: Working together to safeguard children – a child centred system. Public Policy Exchange conference, The Grange Wellington Hotel, London. 09.2015: Protecting children in the music schools. Workshop on music education and abuse of children: historical and sociological perspectives. University of London, Senate House, London. 06.2015: Protecting and supporting whistleblowers. Child Abuse Inquiry. Time for action and justice. WhiteFlowers campaign Public Meeting. House of Commons, Westminster, London. 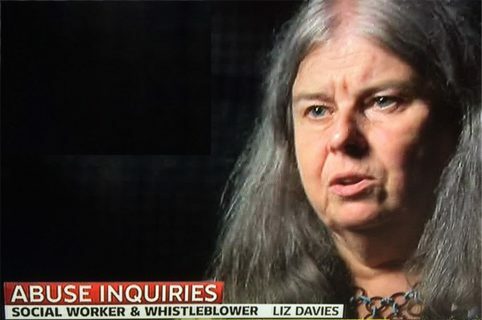 Child Abuse Inquiry – Action and justice now! WhiteFlowers campaign public meeting. 11.2014: Breaking silence: the consequences and politics of silence, cover-up and speaking out. The Abuse Seminar, University of Edinburgh. NALAGRO Conference, Carlton House, London. WhiteFlowers Vigil outside 114 Grosvenor Avenue – former Islington children’s home. 09.2014: Historic allegations of child abuse. BASW seminar, Kent Street, Birmingham. WhiteFlowers Vigil outside Elm Guest House. Presentation to Keele World Affairs Seminar. 21.05.2013: ‘Prevention and Protection.’ Safeguarding children and young people. BASW Special Interest Group conference on Child Protection and Substance Misuse. 01.02.2013 : ‘Reclaiming child protection.’ Seminar for nurses. Dr Liz Davies and Dr Sarah Nelson. Child Protection and Sexual Exploitation. 17.10.2012: ‘Campaigning to protect children.’ SWAN conference. BASW Student Social Worker Conference. Queens University Belfast, Northern Ireland. Social Work Action Network London Conference. Presentation to social work staff and students. Presentation to conference: ENSACT (European Network for Social Action) Social Action in Europe: Sustainable Social Development and Economic Challenges. 16.02.2011: ‘Reclaiming child protection’: findings from my PhD. University of the West of England, Bristol Law School Conference. Presentation to media conference attended by senior representatives of television, radio and print. Keynote presentation at Hillingdon Safeguarding Children Day. Presentation to the Big Know Day on Evidence Based Research. 15.09.2010: ‘Child sexual abuse’ lecture. 14.08.10: Panel presentation to public audience at the Rose Theatre, following play about child abuse ‘Buried Alive’. 15.07.2010: Summary of PhD thesis. Presentation to the Children’s Strand Conference. ‘Speaking up for children: the media and the LSCB’s – on the same side’.